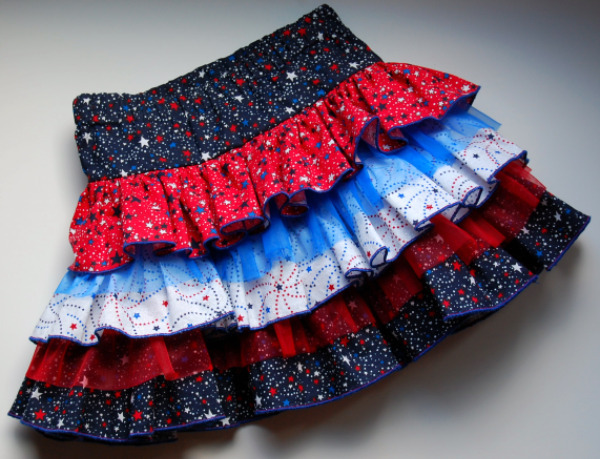 After seeing this skirt on Crafterhours skirt week challenge, i knew it would make a great 4th of July skirt. It was made using Pink Figs Nie Nie skirt pattern. It was time consuming, with all that gathering. 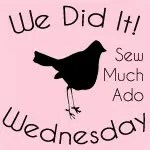 BUT 2 things that helped speed up the process were not hemming the layers (i did a rolled hem) and using the serger to gather. And just incase you were wondering the tulle is a nylon chiffon (so soft and no fraying) and i did make the attachment for that layer out of fabric. With the left over material i made a matching shirt (and i one for myself too). Hopefully she will be a good little model on the 4th and i will have some real pictures to show. looks great! shae we don’t have a national day on 4th of july! I absolutely love this outfit. Can’t wait to see the pictures of it on! Great job and so cute! 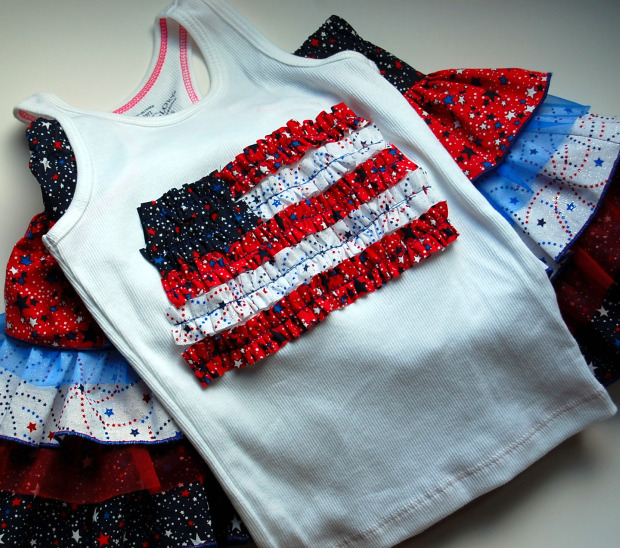 I love the skirt, and I especially love the ruffle flag shirt! So smart and cute! Very cute! I love the tulle stuck in the layers. Have a Happy 4th! Great outfit. There’s a quick way to gather by changing the top tension. The tute is on my blog in the tutorials section. I love this blog! You are really talented! I need some dresses!!! and some sewing lessons!